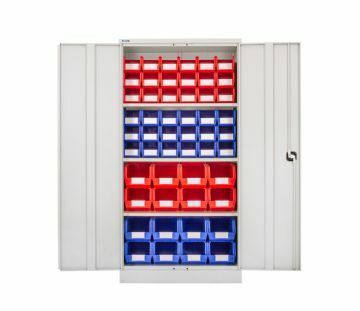 Our new range of industrial strength cupboards are available complete with our “Rhino Tuff” plastic bins. The cupboards are manufactured to withstand the wear and tear of industrial use and provide a safe and secure way to store your inventory. 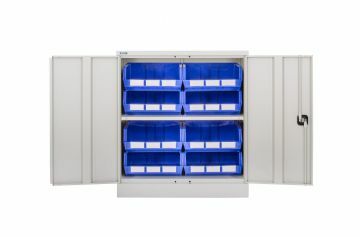 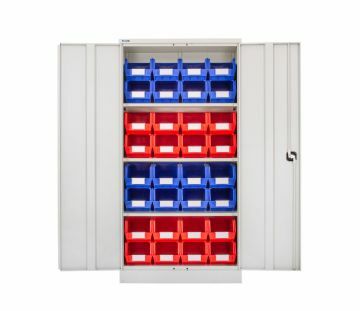 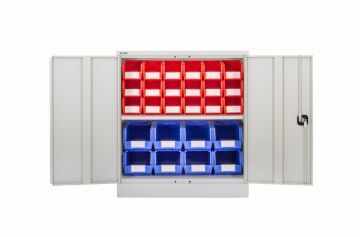 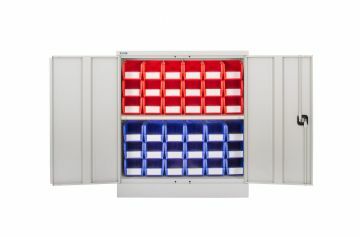 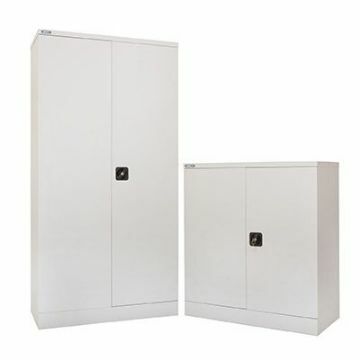 The lockable doors also provide a clean and dust free environment for storing any sensitive items or just to keep stock secure, clean and tidy.